I recently wiped TomatoUSB and installed OpenWRT Barrier Breaker on my Linksys E3000 based router. In that process I also migrated our FLAC collection from my x86 based server edisonÂ to the OpenWRT router. Life was good….. until my wife complained that the her Bluesound playlists had stopped working. Luckily I have root access to my Bluesound and can fix stuff like this. Heres the issue and the fix. # can do whatever you want with this stuff. 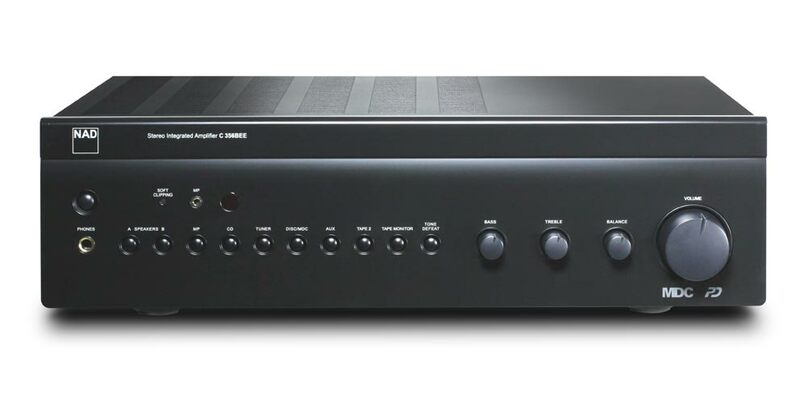 The old king is dead (NAD 3020i) …. ….. long live the new king (NAD C356BEE)! us being in doubt about the D 3020’s ability to deliver the same power as the NAD 3020i, even though its specs was 50% better. reviews stating that the sound was actually better when feeding it an analog source as opposed to a digital one. Then it did not make much sense to feed it with the output of the Bluesound N100 we own. My wife, who brought the NAD 3020i into our relationship preferred NAD over the competition and in the end we had to choose between the C326BEE and the C356BEE. Being marginally more expensive, we went with the bigbrother and are happy about it. I will have to play around with the serial port of the 356BEE and maybee put a usb2serial in the back of the Bluesound and do some magic there. But that will have to wait until later. I recently reviewed the Bluesound Node from a end user perspective. It rocks the house, so to speak. The geek in me would not and could not let that be the end of it. How is it built? What makes it tick? Stuff like that. The webserver serves some very minimal pages. Most interessting are the diagnostics pages. The advanced tab, actually serves the output of dmesg and /var/log/messages, so obviously linux inside. A lot could be deduced from the output of dmesg alone, but being a geek I wanted to know everything.Â A quick test with root/root and whats not yielded nothing using ssh. Actually the user/user combo works wrt. authorization, but fails due to the fact that /home/user does not exists. On the back of the node there are a mini usb for support. Obviously that is a console port. I tried to play around with that a bit, but no obvious way in, except knowing the root password. I then used a couple of hours of my life and figured out how to gain access without knowing the root password. The details will be kept off the net. You have to figure it out yourself. [Â Â Â 0.000000] Hierarchical RCU implementation. [Â Â Â 0.000000]Â RCU-based detection of stalled CPUs is disabled. [Â Â Â 0.000000]Â Verbose stalled-CPUs detection is disabled. [Â Â Â 0.944076] Advanced Linux Sound Architecture Driver Version 1.0.23. [Â Â Â 0.953900] Initializing regulators for NAD SOVI. [Â Â Â 1.096156] RPC: Registered udp transport module. [Â Â Â 1.099992] RPC: Registered tcp transport module. [Â Â Â 1.103922] RPC: Registered tcp NFSv4.1 backchannel transport module. [Â Â Â 1.155861] Installing knfsd (copyright (C) 1996 okir@monad.swb.de). [Â Â Â 1.169698] NTFS driver 2.1.29 [Flags: R/O]. [Â Â Â 1.186600] cryptodev: driver loaded. [Â Â Â 1.878187] USB Mass Storage support registered. [Â Â Â 1.953319] mxsdhci: MXC SDHCI Controller Driver. [Â Â Â 1.964444] mxsdhci: MXC SDHCI Controller Driver. [Â Â Â 2.445667] VFS: Mounted root (ext4 filesystem) readonly on device 179:2. So it is a NAD SOVI board using an i.mx51 freescale arm processor. With 256MB memory. The sound are produced by an Cirrus Logic CS4350 chip. The system runs a 2.6.35 kernel off a NAND flash chip in a very trimmed down setup based around busybox and the selected custom applications needed to make a media player. The system utilizes the very well known and awsome u-boot boot loader. Without voiding guarantee by opening up the box, I can not get more specific information than that. What amazes me the most about this setup, is that the system outputs very good sound quality, is very very stable, has fast boot times and yet does not consume very much memory. This is a lean, mean, music machine. It has one purpose in life and are trimmed down to fulfill that purpose and only that purpose. That being said, I can see that the platform is built to support more extensive media streamers. Mine is just the low cost one. I also speculate that the NAD SOVI board has GPIO pins needed to fit into products with way more features. Gaining access to the OS will allow me to tweak the setup a bit more to my need being both a programmer and a Linux sysadm. I have no desire to alter the OS and/or hardware, but I can envision the need for using the USB port to control an amplifier or integrate the NODE with other equipment over IP. Small tweaks. But again. Out of the box this is a wonderful product that I will recommend to friends and family. My wife and I have for years listened to music from CDs on our DALI 400 loudspeakers through an NAD 3020i amplifier and our NAD T514 DVD player. So what to do? We looked for a way to be able to enjoy CD quality without hazzle, while taking the leap into streaming music. We took a look at Sonos, but rejected it due to their sound quality. We considered an all streaming solution (skipping our CDs for good), but also rejected that, due to posession of a lot of non-mainstream CDs. After investigating the market in 2013, we decided to try out a product from a canadian firm called bluesound. Bluesound and NAD electronics are owned by the same holding company, Lenbrook Industries, so many of the engineers producing NAD equipment are also involved in producing Bluesound equipment. That bodes well for the quality of Bluesound. And then bluesound have recieved good reviews audiowise from a couple of sites around the world. Given that the equipment is fairly fresh of the assembly line that is also a plus. Bluesound produces a couple of variants of their streaming media players. We already have an amplifier, so we passed on the powernode. The vault seems cool, but a bit pricy. So due to the fact that I, as a nerd, already have a server running 24×7, we choose the cheap(ish) Bluesound Node. We bought the node through the danish reseller hifiklubben.dk. It arrived in a couple of days. The package contains the node itself, a quickstart manual, and cables needed for connecting the node to power, network and amplifier. 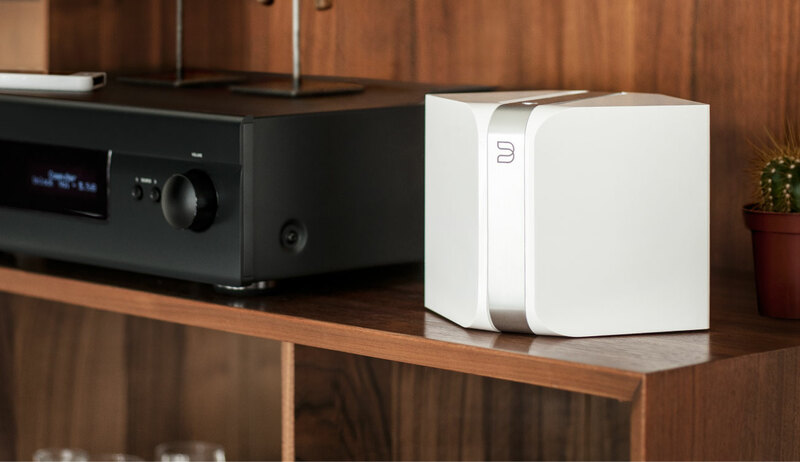 The node does not have a remote, but relies on the user having a smartphone (android or ios), which will be used for controlling the node through the Bluesound App. The initial setup was a breeze. When first powered on, it comes up in AP/hotspot mode. You connect your smartphone to the AP, and start the Bluesound App. A wizard will guide you through the setup, which takes 1-3 minutes. After that, the node reboots and is ready for use. I setup a CIFS share. Rip to FLAC, it will save cpu cycles and you basically rip as fast as the CD drive will allow you to. Some of our CDs took around 60 seconds to rip to FLAC! After 5-10 cds it was apparent to us, that the Bluesound Node produces sound of the same or better quality than our CD player. So bluesound node is without a good streaming player. Factoring in how little money you have to pay for it, it is a really good bargin. It has just worked since day one and we have been listening to a lot more music than we did just 14 days ago! The app on the smartphone works well. It has some minor issues, but the real beef with the app is the fact that we lack some features. Those will hopefully be added later. So all in all 9 out of 10 stars from an enduser of bluesound node. It is highly recommended for replacement of CDs.